How to watch Teen Titans Go! 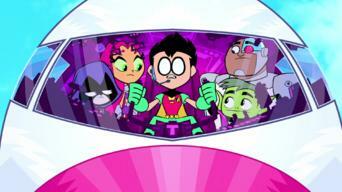 : Season 3: The Teen Titans Go Easter Holiday Classic / Rad Dudes with Bad Tudes on Netflix South Africa! Yes, Teen Titans Go! : Season 3: The Teen Titans Go Easter Holiday Classic / Rad Dudes with Bad Tudes is now available on South African Netflix. It arrived for online streaming on January 1, 2018. We'll keep checking Netflix South Africa for Teen Titans Go! : Season 3: The Teen Titans Go Easter Holiday Classic / Rad Dudes with Bad Tudes, and this page will be updated with any changes.